Created by Toujours, this beautiful designer award will stop passers-by in their tracks! 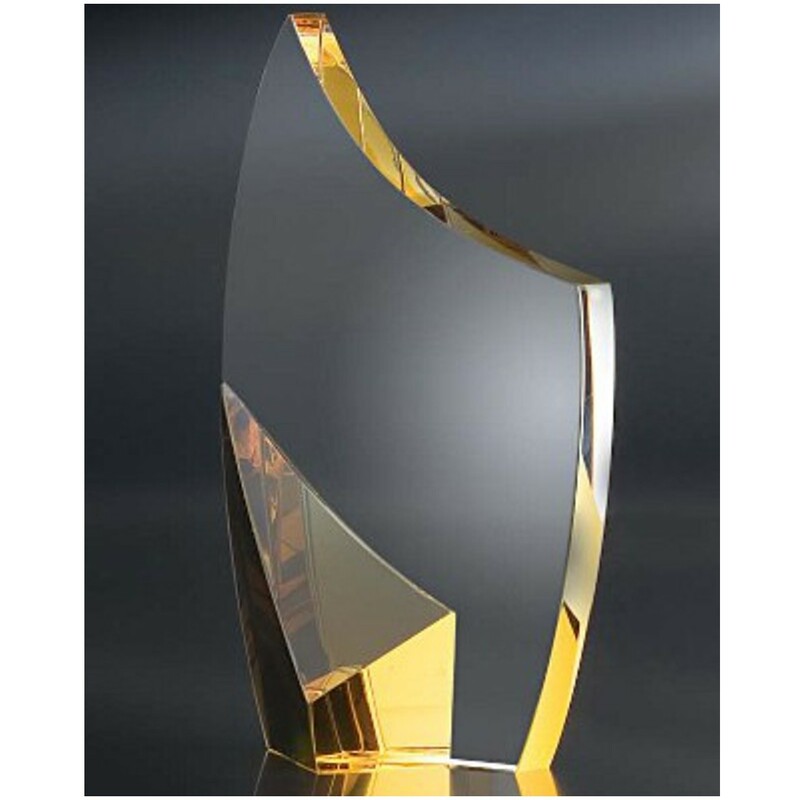 The Swooping Golden Crystal Blair Award is a combination of an elegant shape and brilliant coloring! Crafted from solid crystal, this award features a modern eye-catching swoop shape. Amber gold coloring highlights the curves of this award and your free etching! Reward top employees with the highest honor and this stunning crystal!